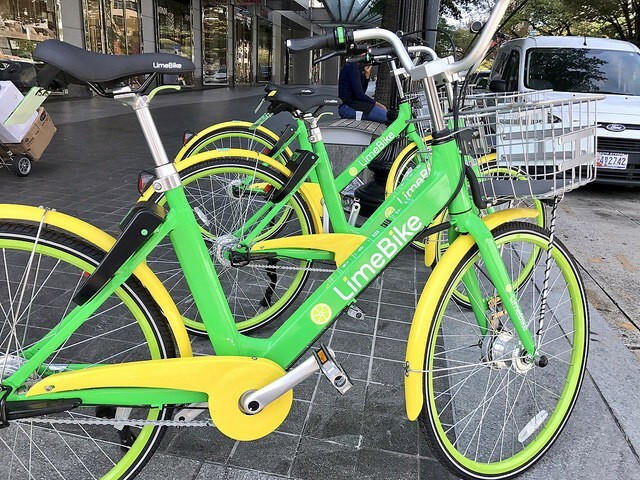 Dockless bike-sharing company LimeBike is one of several active in Washington D.C.. Is St. Louis next? An avid cyclist himself, Ogilvie is the sponsor behind a bill at the Board of Aldermen that would authorize city's Department of Streets to develop and enforce regulations for bike-sharing programs. 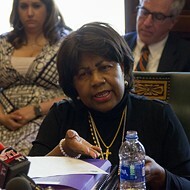 On Tuesday, the bill was passed out of the Streets, Traffic and Refuse committee. Laying out a regulatory and permitting framework should be a good step for local cyclists still waiting for bike-sharing services. 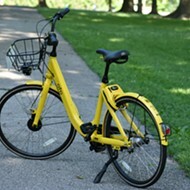 A 2015 feasibility study by Great Rivers Greenway found that more than 60 percent of St. Louisans said they were either likely or very likely to use a bike share. But when it came time to pony up millions of dollars, momentum ground to a halt. This past summer, the East-West Gateway Council of Governments rejected a grant request from Bi-State Development Agency seeking $1.4 million in federal funds. The council rejected a similar grant request in 2015. In the meantime, Ogilvie notes, "We've become one of the largest markets in the country that doesn't have any bike-sharing system." A dockless system "is the next best thing in that it provides an amenity that I think some percentage of people expect now, especially tourists." Bike-sharing companies are certainly interested in expanding to St. Louis' untapped market. 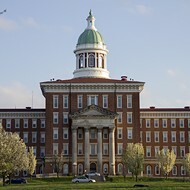 Five companies have approached city officials about setting up operations, the St. Louis Post Dispatch reported earlier this month. Ogilvie's bill still needs approval of the full board, but if passed it would set in place regulations approved by the Board of Public Service in December. Under its terms, each bike-sharing company would be required to pay a $500 annual permit fee and $10 per bike each year. Bike fleets would be capped at 2,500 per company, with the option of exceeding that number with the approval of the city streets director. The permits would also include an "equity component," Ogilvie notes. "It requires that bikes be distributed, each day, to low-income census tracks that have already been identified in the previous bike share study, so that we make sure it's not just a system that only serves the central corridor." Granted, it's not like dockless bike-sharing programs are an unmitigated success stories in other cities. Self-locking bikes can clutter sidewalks and pedestrian areas if parked improperly, and having more bikes on the road could test the city's motorists and safety infrastructure. Overall, though, Ogilvie sees it as a net gain. "It just means we need to continue making improvements over time," Ogilvie says. "We are hoping that one or more companies wants to deploy a system here this year."